Great War of Japanese Mythology. Kadokawa Games has announced God Wars: Great War of Japanese Mythology for PlayStation 4, Switch, and PS Vita. 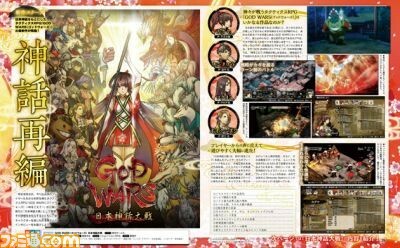 God Wars: Great War of Japanese Mythology includes all the content of the June 2016-released God Wars: Future Past, as well as a new scenario and playable characters, a huge number of new battle stages, and thorough playability improvements. The new scenario, “Labyrinth of Yomi,” which depicts the true fate of Kaguya and company, can also be purchased as downloadable content for users who already own God Wars: Future Past. 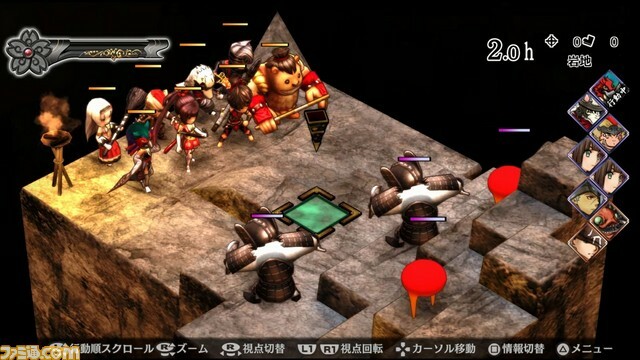 Additions include accelerated battle speed, a full help feature, the ability to bring out eight instead of six units into battle, level and skill limits unlocked, the implementation of second playthrough elements, Momotaro, Kiji, Saru, and Inu as playable characters, new episodes, multiple endings, new music, and a new character named Orihime (voiced by Yuu Serizawa). A release window was not announced.